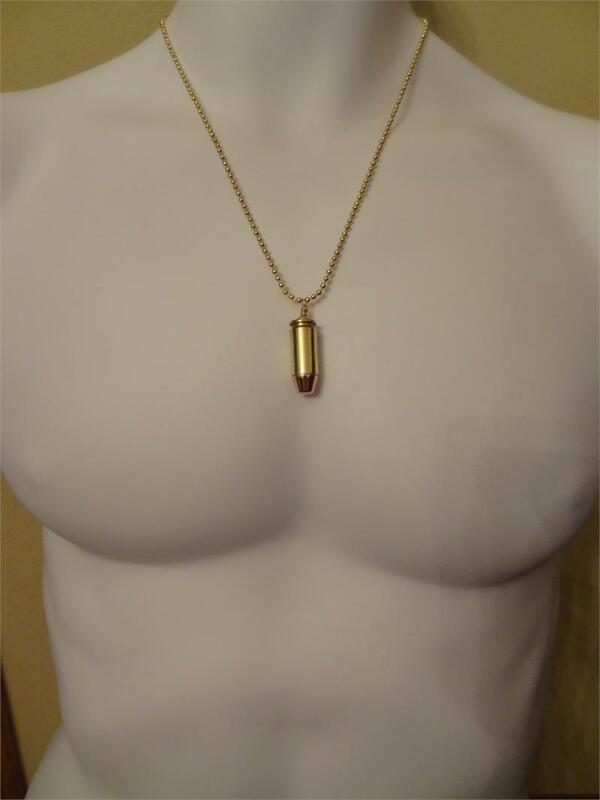 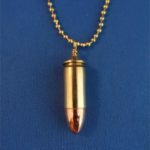 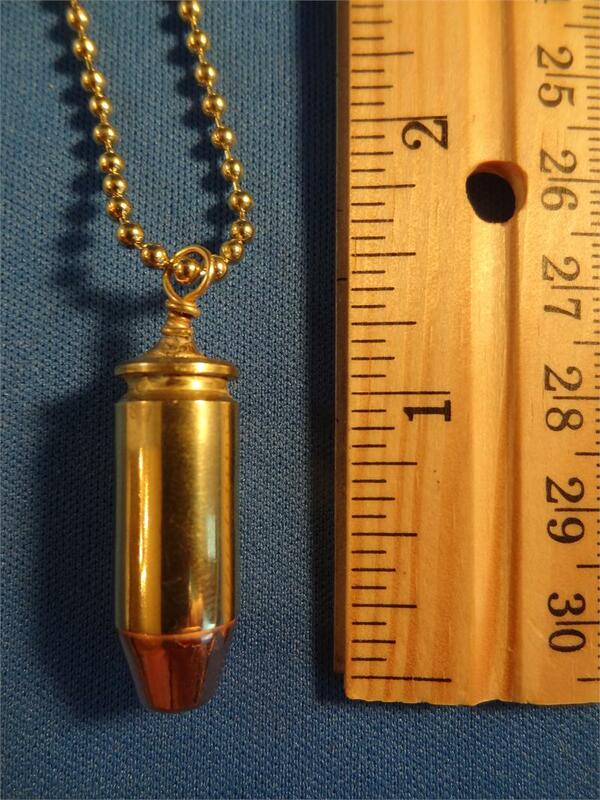 This .40 caliber cartridge features a brass case and a full metal jacket bullet. 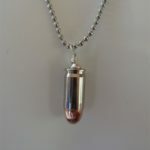 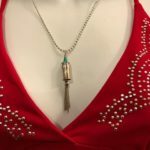 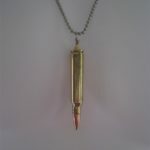 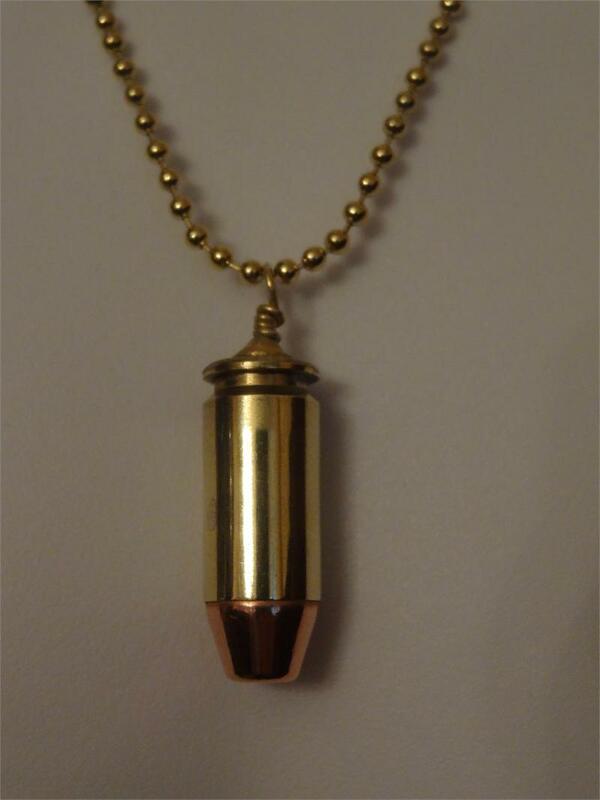 It is pictured here as a necklace, which comes on a 20″ brass ball chain. 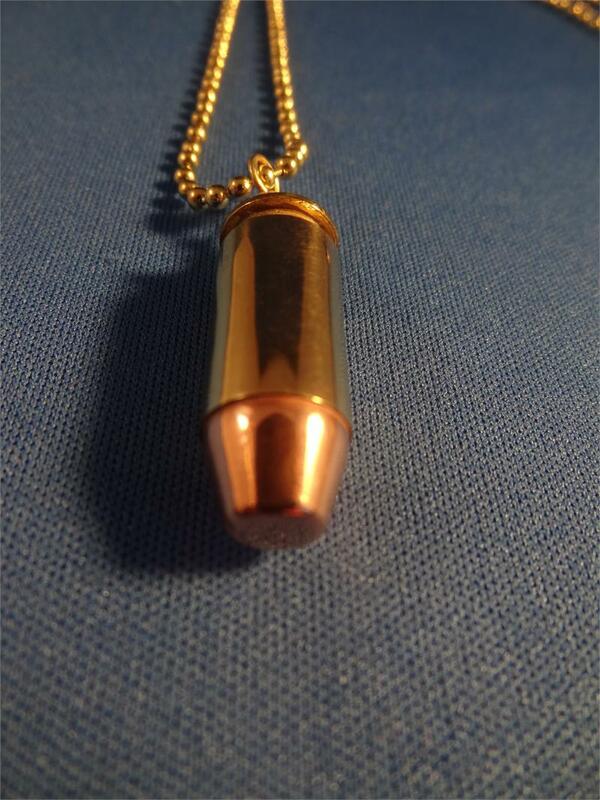 It is also available as a key chain or the cartridge only.